I just finished a marathon few months where, having been previously unfamiliar with the series, I burned through Personas 3 & 4, back-to-back. There are so many things I want to write about these fantastic games, so many feelings, but the one thing that’s struck me the most about them is how well they handle something so few other video games are able to manage. Think about it. How many games do you play where the passage of time, arguably the most valuable resource on the planet, is managed in a way that’s both enjoyable and realistic? Normally, a game only gets one of those things right. 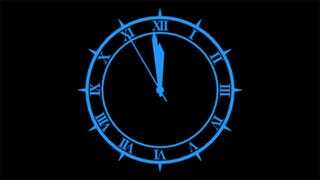 They implement some kind of day/night cycle that whizzes by like a Benny Hill video, or time is forever frozen, regardless of how long you stay stuck on a level. But the Persona games do neither. If you haven’t played the last two games in the series, both are broken up into a single calendar year, of which you play through most days individually. Each day is in turn broken up into segments; the day (where you usually attend school) and the night (where you can study, hit the mall or...go fight demons). These don’t roll by in real-time. They pass as soon as you commit to any of the actions available to you. As an example, once you finish school for the day, you’ve got the afternoon to yourself. You could go to the mall, or hang out with a friend, or go buy some weapons, or go eat some ramen. You can only choose one, however; once you’ve chosen, that action plays out, and the day passes. This means you can never truly “complete” the game like you would, say, Skyrim. There are only so many minutes in a day and so many days in a year, and the game is structured so that you can’t (without a FAQ, at least) see everything the game has to offer in one playthrough. Just like real life, you have to choose what to do with your time, and realise that in doing so you’re neglecting/ignoring the other things you could have been doing. I’m 33 years old, but have very fond memories of high school, especially what Americans (and this game) would call my “senior year”. Like a lot of people, I guess, if some 80's comedy movie were to knock on my door and ask if I’d like to go back to 1997, give it one more shot, I’d probably say “hell yeah”. Which is why I liked Personas 3 & 4 so damn much. You’re given all the choices available to a teenager in the prime of their youth. There’s friendships to be made, movie marathons to catch, sports to play, girls to chase. Only this time, going back for the second time, you’re aware of one very important thing, something you never truly grasped first time around. Instead, it’s a finite time in your life. A comically brief one, really. And by breaking the Persona games up into a single calendar year, giving you all kinds of choices of what to do but never letting you do all of them, you’re forced into doing something so few of us really do when we’re actually living through it. Namely, making the most of it. It’s strange, sure, and maybe it’s just me who enjoyed that aspect so much. I mean, these are games about fighting demons, but here I was, enjoying adolescent role-playing and a form of time-management simulation. That’s not to say it’s the only thing I liked about the games. Far from it. As a casual JRPG player I liked the no-frills combat. I could look at Shigenori Soejima’s art all day long. 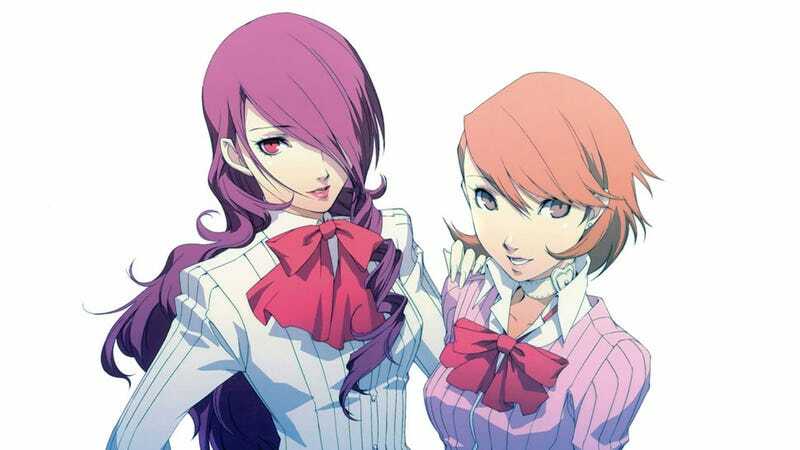 The characters grow on you like few other casts in video games, even if Persona 3's take a while to warm up. But for me, what marked the games as truly special were the way they somehow managed to take one of the most chaotic and emotional times in our lives and simulate it within the constraints of a role-playing video game. Oh, and then adding monsters and robot girls and walking teddy bears on top of it.